May the Force – sorry ! Possibly the worst of the lot when it comes to confusing the concepts –“May the Force be with you “ ! The Force? something we can carry around with us? Probably the biggest single misconception is that when you push or throw an object that there continues to be a force in the direction of motion. It’s natural and common sense to assume that a driving force is needed to keep an object moving at a steady speed because that is our everyday experience. When you stop pedalling on a bike you come to stop. Therefore you must need a force to maintain a constant speed – dont you ? . We live in a world with friction, but as we cant see it often it isnt accounted for. Another issue is that we usually haven’t taught momentum yet. 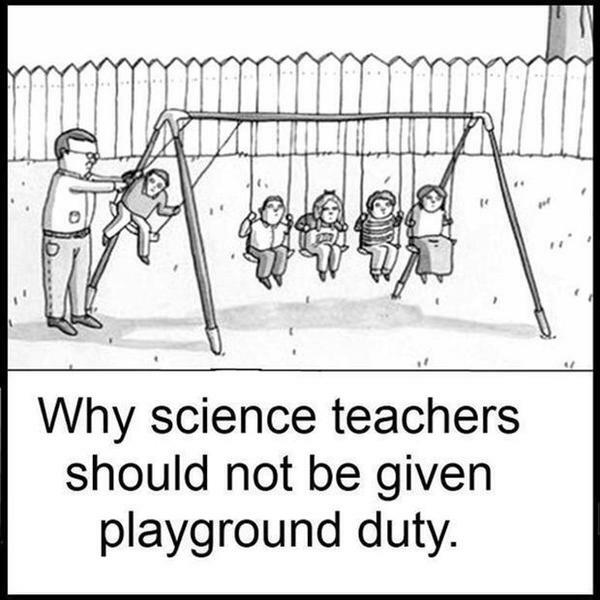 Should we do that before we teach forces? I dont do an in depth quantitative analysis of momentum. I usually just ask the question ‘Which would hurt you most if it hit you a beetle or a train? 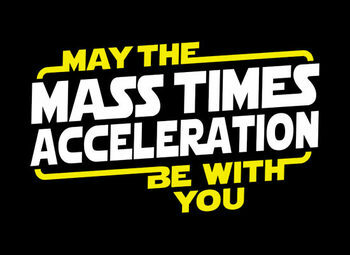 So there are 2 properties we need to consider , the mass and how fast it is moving – its velocity. Multiply these two things together and we have momentum. Momentum is useful for scientists when studying collisions or how difficult it is to stop a moving object. It is an interesting point to consider as to whether momentum is a more useful property than simply velocity when setting speed limits. Although the debate I had with a police officer who pulled me over on my motorbike for travelling the same velocity as the 4×4 in front of me that had 10 times my mass, was short lived and fruitless. Bubble soccer – The ultimate momentum experiments? So what actually is a Force? power, work, energy and force all mean the same thing. What are forces measured in ? Common language is so unhelpful with weight almost always being used instead of mass. Send me £10 and I will give you a guaranteed weight loss method!! . Go to the moon ! Should Weightwatchers really be renamed Masswatchers? . Though I suspect reducing volume might be more what they want most – have this discussion with your students – sensitively ! Taking this further – Put a rubber glove on a sensitive balance with dry ice in it. As the ice turns to a gas and inflates the glove – what happens to the measured weight? Does it go up down or stay the same? Why? rocket propulsion is due to exhaust gases pushing on something behind the rocket. Pupils often confuse speed, acceleration and velocity; distance–time and speed–time graphs. put a 1N apple on my head wear safety goggles and ask for a volunteer to shoot the apple off my head on the count of three. cornering objects are forced outwards by a force called centrifugal force. fluid pressure only acts downward. Brilliant — and so useful! My thanks for this superb depository of ideas. One little quibble — the link to the very useful misconceptions page is dead. If you can possibly update, I would be very grateful. Thank you, this is a really excellent blog-post! As a new teacher, trying to understand potential student misconceptions before getting into the classroom is key, but quite hard to image yourself! This post has so many useful resources, and clearly explains how to teach the students. I can’t thank you enough, and can’t wait to try it out in my classroom.